Offering you a complete choice of products which include mooring winch, windlass and hydraulic knuckle / foldable boom ship crane. 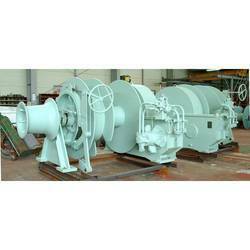 Our customers can avail from us a precision engineered range of MooringWinches. We make use of superior quality raw material to manufacture these winches in accordance with the set industry standards. 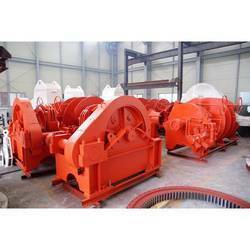 The winches offered by us are widely used for pulling and letting out a cable or wire rope. These winches are demanded for machines like tow trucks, steam shovels and elevators, to name a few. 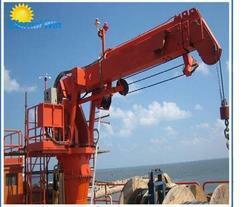 Mooring Winches that we offer are used on land for marine and construction sites. Our mooring winches are suitable for all types of ships in all shapes and designs. They are all made for working in harsh environmental conditions. Winches are available with one or more drums and warping heads. The drum is ordinary or split type. Standard option is declutchable mooring drum and warping head mounted fixed on the shaft. Performance can be structural steel or stainless steel. Delivery is with or without auto tension control. We have gained expertise in manufacturing a quality assured range of Windlass. The windlasses offered by us manufactured under the guidance of our expert professionals, who hold vast experience in this domain. They make use of high-grade raw material in the manufacturing process, which ensures optimum performance of the product. Moreover, these windlasses are tested on various well-defined parameters in order to offer a quality assured range to our customers. Looking for Marine Deck Equipments ?